A story of justice through the ages...and revenge. Germany, 1945. The bloodiest war in history is at an end. Now the retribution and search for justice begin. In a series of Nuremberg trials, war criminals are hanged or commit suicide. Others are judged and sent to prison for their parts in the most heinous crimes of all time. But in the final trial, one in which ordinary Germans are forced to confront their complicity, a leading American defense counselor has to consider questions of good and evil when he defends a simple mechanic, a man who kept the gas chambers in working order. 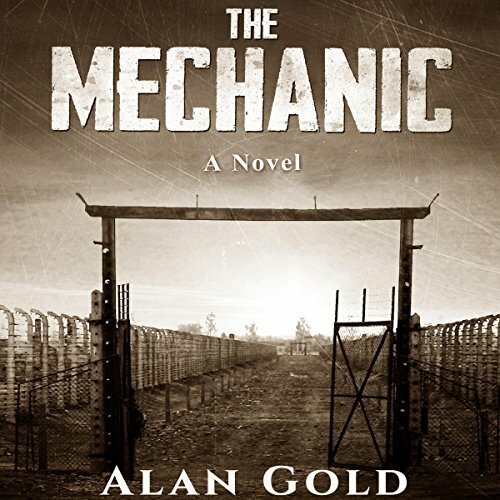 As his trial progresses, Wilhelm Deutch, a Nazi mechanic within the concentration camps, is forced by a court to confront his past with nobody to speak on his behalf. Only one man, Joachim Gutman, a Jewish survivor of Auschwitz - a living hell, the worst of all the concentration camps - knows the truth. Gutman knows that Deutch was a lifesaving hero, not another sadistic villain, as those who barely survived the camps claim him to be at the trial. To save Deutch from a certain death sentence, Gutman must come forward to testify on his behalf, but he's nowhere to be found. Half a century later, it falls to the defense counselor's granddaughter, a young and brilliant lawyer, to correct a grievous miscarriage of justice and ease the moral conscience of Germany. But has there been a miscarriage of justice? As she delves deeper into the evil Nazi past, she is faced with a conundrum that threatens her very sanity. ©2016 Alan Gold (P)2016 Audible, Inc.